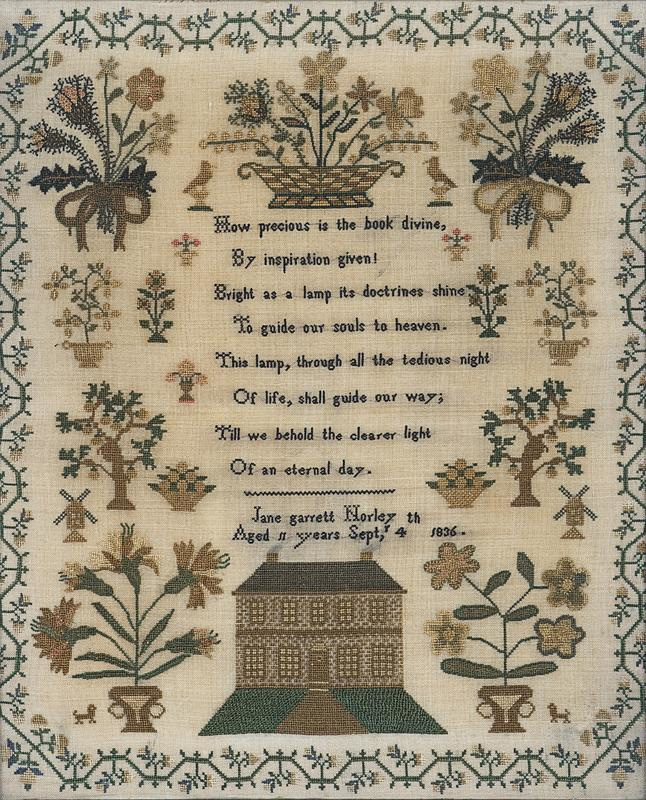 Sampler made by Jane Garrett Norley, aged 11, 4 September 1836. 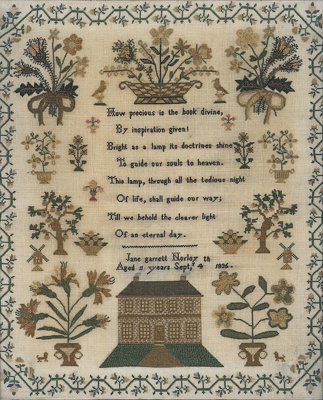 Embroidered inscription reads, "How precious is the book divine by inspiration given! Bright as a lamp its doctrines shine to guide our souls to heaven. This lamp, through all the tedious light of life, shall guide our way, till we behold the clearer light of eternal day".